Ellington Song Lounge and Back to the Future Day! 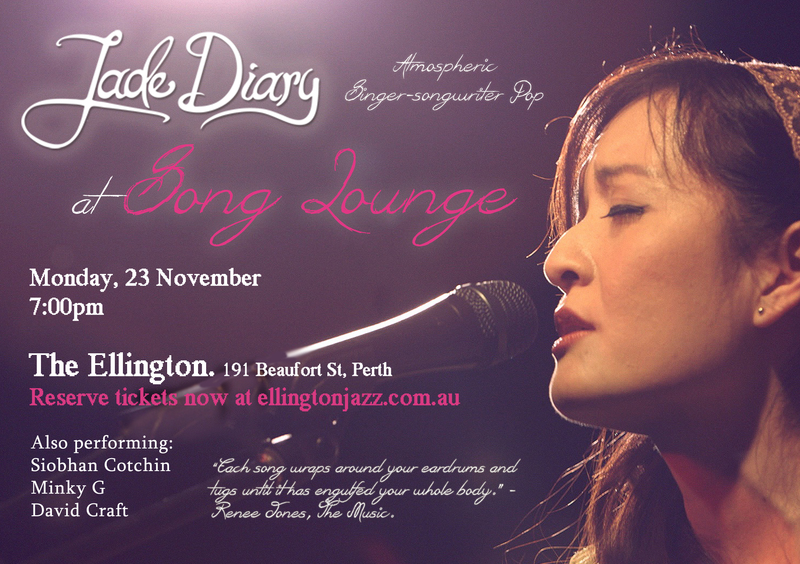 Song Lounge, 23 November, Monday. The Ellington. Perth. 191 Beaufort St Perth. There will also be Siobhan Cotchin, Minky G and David Craft on the bill. I've even prepared an exciting new mystery cover song for you, and of course I will also be performing my new single, 'Jordan'. Thank you to everyone who helped to crowdfund my new video for my new single, Jordan. There have been a few technical setbacks (for example new footage that needed to be shot) and as a result the release date is looking to be November. Why oh why is life never simple? I thank you for your patience and understanding. I don't have a manager or an entourage to help me while I work full-time 9 to 5 in an office, so it is has been challenging trying to organise all the little things that need to be done to keep the Jade Diary machine going! I look forward to releasing the single and music video to you shortly ... HERE'S TO THE FUTURE!